I first met Paul Atkinson over 25 years when I was a waitress at a local restaurant in Colne, at the time he was the restaurant manager and my boss. However, I was a terrible waitress, and no doubt should have been sacked on numerous occasions. Luckily for me, Paul has the patience of a saint and over the last two decades, we have forged a strong bond. I love his incredible zest and enthusiasm for life, they certainly ‘broke the mould’ with Paul. Despite him moving to Scotland we’ve stayed friends. Whenever I receive a phone call or we meet up, he has a different vocation. 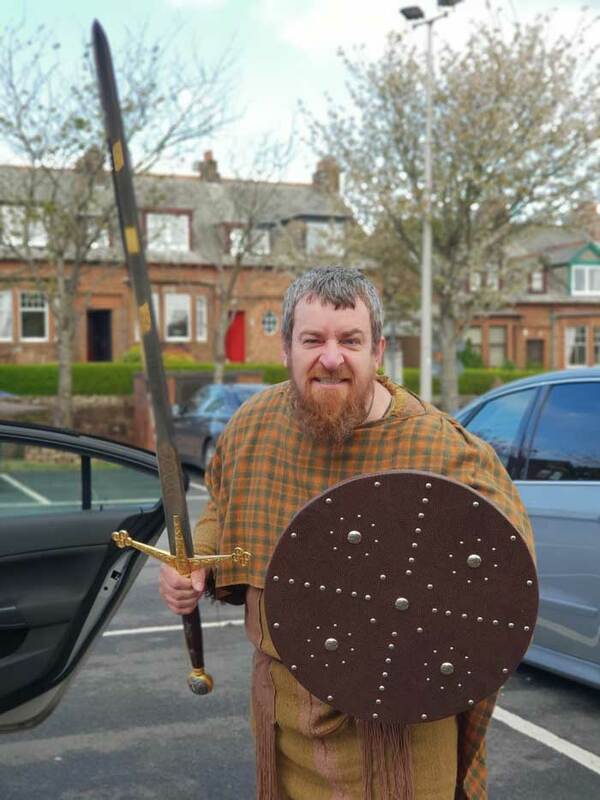 He’s been a canoe instructor, wore a white leotard while performing in the opening of the Commonwealth Games, ran a Greek restaurant, been a writer, a chef, a hotel manager, a shield maker and he’s even delivered nappies, so it came as no real surprise when he called me one day to tell me he was now a pictish warrior. Trawling through Facebook notifications has become my ritual – like it has for most people in this day and age – when I noticed that I had been tagged in a post. A friend had seen a post from a film company looking for extras for a short film being made locally. I read through the requirements and emailed them immediately as it sounded like it might be a laugh. The following day I received a phone call asking if I was still interested. If so, they wanted me to be at a community centre a few miles down the road in a village called West Kilbride. When I arrived at 7am other people started turning up to take part in the project too. Nearly all of them were regular extras in the film and TV industry, so I was quite nervous. The rest of the cast very quickly put me at my ease. Soon I was being asked to go to wardrobe for my costume fitting. 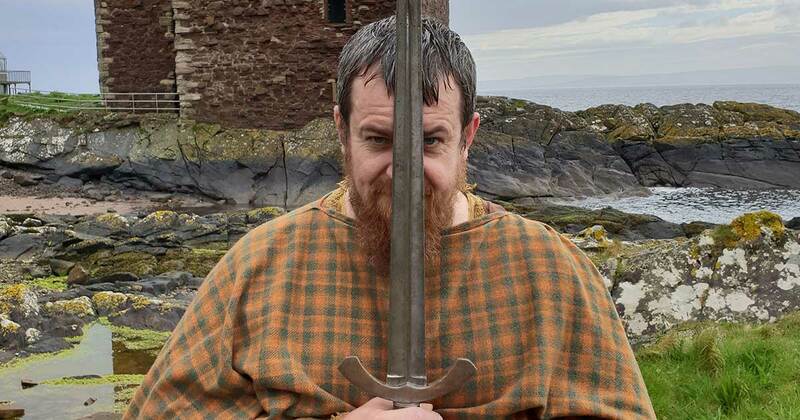 It turns out I was to play the part of a Pictish warrior in a film called Slingshot set over an afternoon with the main event being a battle between a group of Pictish warriors and a Viking raiding party. I had no idea what to do or how the day was going to pan out. But I was determined to give it my best shot and just do as I was asked. 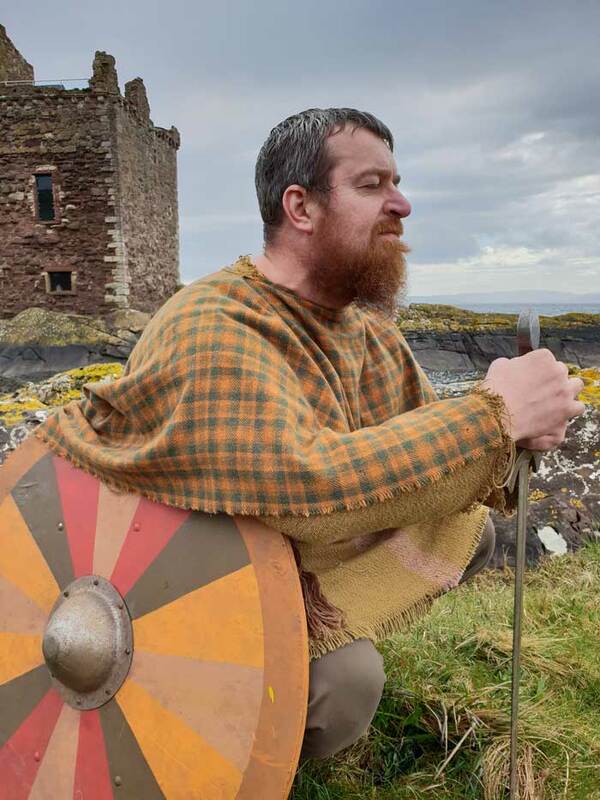 My costume consisted of a thick woollen top and baggy trousers, a tartan shawl draped over my shoulders, which were very warm. Then it was back to sitting around, waiting to be told what to do next. 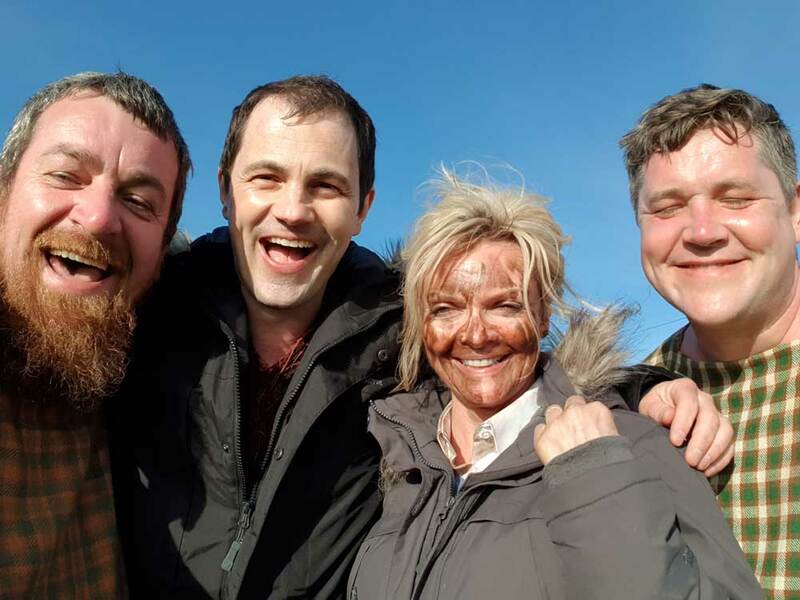 At noon we were finally called onto set, which was in the picturesque Ayrshire coastal village of Portencross. We arrived on set and that’s when we got our first instructions on what we were going to be doing for the rest of the day. This involved setting up the re-enactment field and putting everything in place. By the time we finished our lunch it had started to rain and that’s how it stayed for the rest of the day. However, filming had to carry on and so we got soaked to the skin. We finished the day at around 6pm, tired and wet. That being said, I had a fantastic time and couldn’t wait for the next day of filming. Two days later we arrived back at Portencross. On arrival we were told to get into costume as soon as possible and head off to set. There were a lot of new faces and we were informed that these people were genuine re-enactors. We were going to be battling against them in the film. We wended our way down to the set and we had no time to spare for the rest of the day, with the exception of hasty tea breaks. I saw a face that looked familiar but couldn’t place. It turned out to be Sharon Small, a famous Scottish actress. Sharon has starred in programmes such as The Inspector Lynley Mysteries and Downton Abbey. As changeable as the Scottish weather is, we spent the afternoon battling each other in the glorious sunshine and finished the day sunburnt and tired but a fantastic time was had by all. I can genuinely say the people you work with are what make the long days and hard work so enjoyable. I was given recommendations for good agencies to join for similar work. I’m now registered with a couple of industry agencies. Since finishing this production I have also worked on a major Bollywood film. Im also currently performing on BBC’s River City.